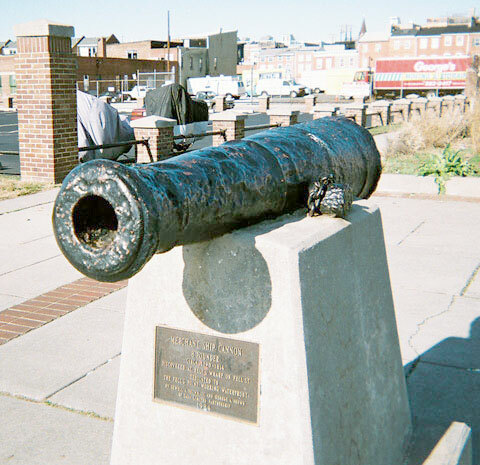 Between 1812 and the Civil War Baltimore was an armed camp bristling with state of the art artillery to drive off the British, the confederates and suppress sessessionists. 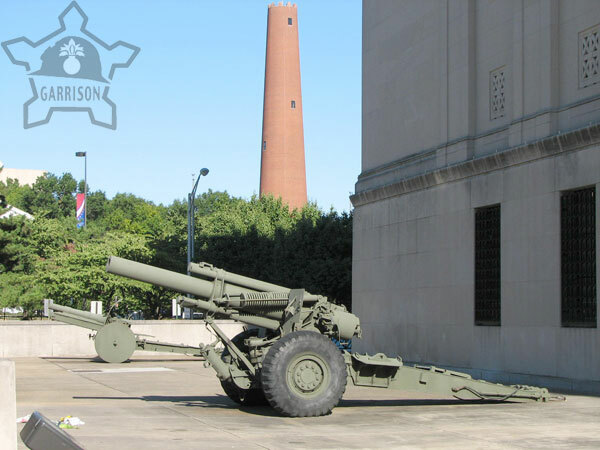 Following this period monuments were set up using obsolete artillery pieces to commemorated the service of local veterans. 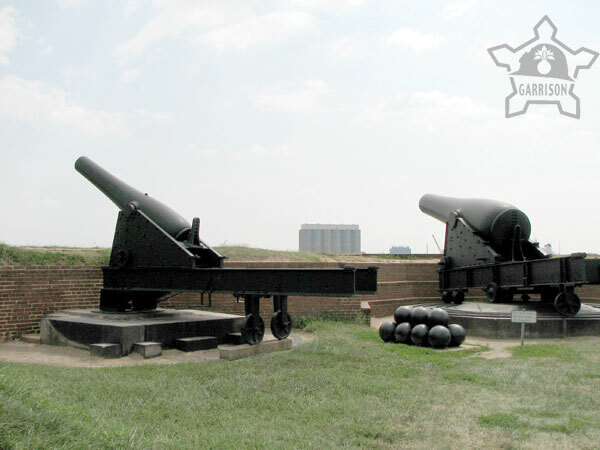 The photos were taken as reference for a graphic on Fort McHenry. The guns are from the War of 1812, the Mexican War, the Civil War, and WWI. 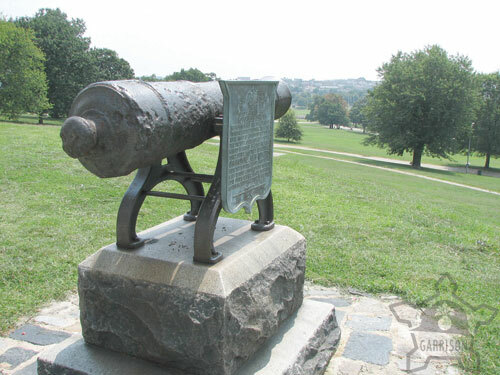 Extensive fortifications were constructed on Hampstead Hill east of Baltimore to halt a British invasion force under Major General Robert Ross. 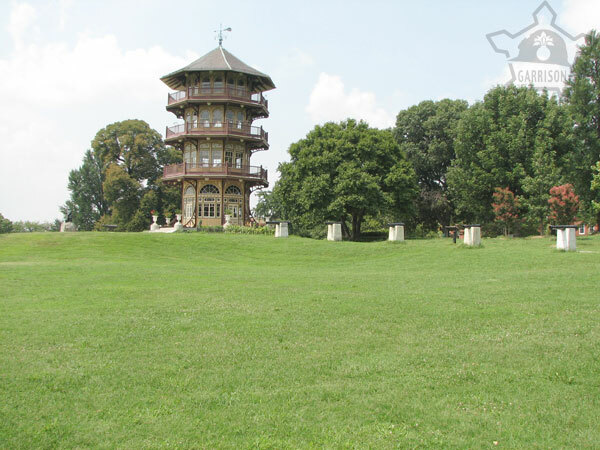 The hill is topped today by a pagoda flanked by a battery of 6 cannon pointing eastward and additional guns embedded in the ground. Baltimore's most famous battle site, the birthplace of the National Anthem, deactivated in 1912. 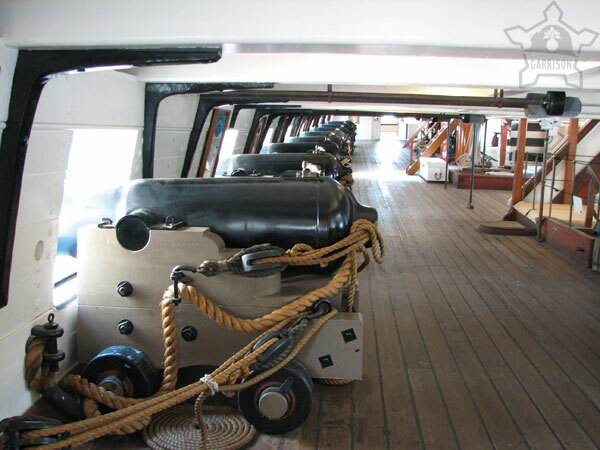 The cannon currently placed on the walls are smoothbore Rodman cannons from 1864, they are very impressive visually, though not the guns used against the British fleet. 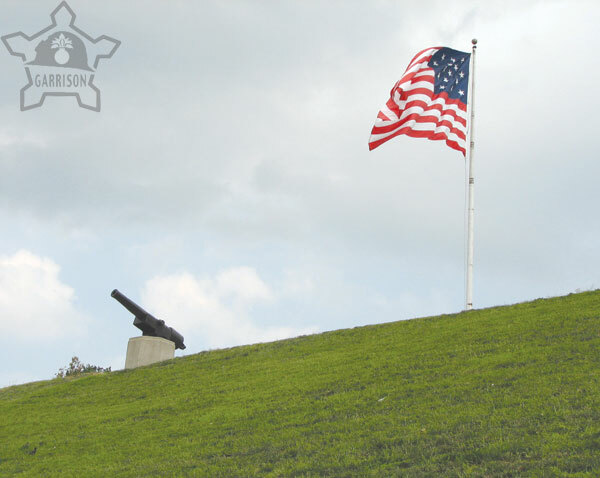 In 2005 the park began constructing an exhibit along the water in the location of the battery that traded shots with the English in September 1814. 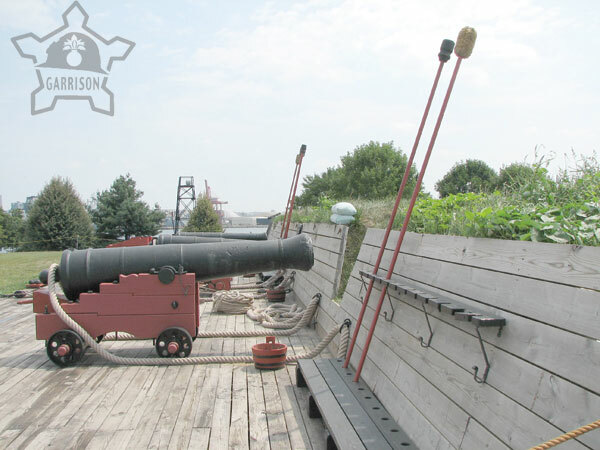 They built replicas of the state of the art French 18 and 36 pound naval guns used by the garrison in 1814. The original vessel was one of the first frigates in the U.S. navy, current version is a Civil War sloop, one of the last wooden sail vessels in the Navy, a novelty either way. 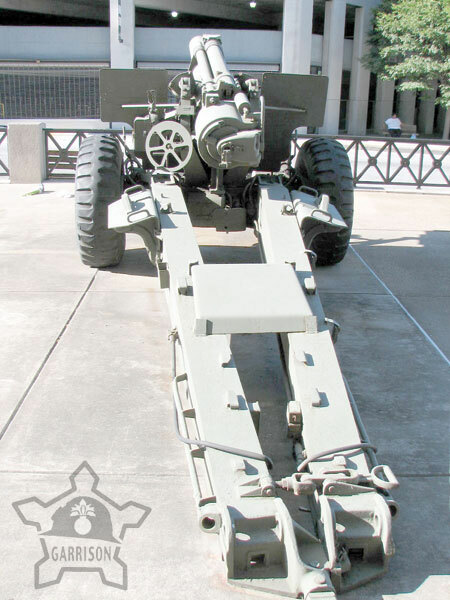 The main battery below the deck is 16 replicas of 8-inch Navy Chambered Shell Guns which fired exploding shells. Original pieces were cast iron, 106 Inches long and weighed 7,000 pounds. 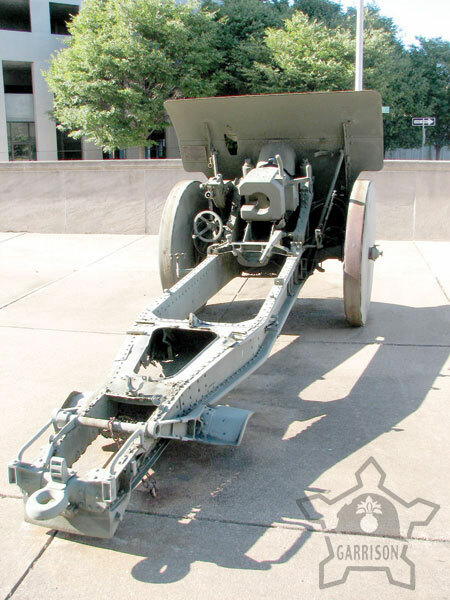 In addition the ship was armed with four 32-pound long guns which fired solid shot, and Two Parrot Rifled cannon which fired 30-pound and 20-pound shot and three dahlgren bronze howitzers small enough to fit on boats. 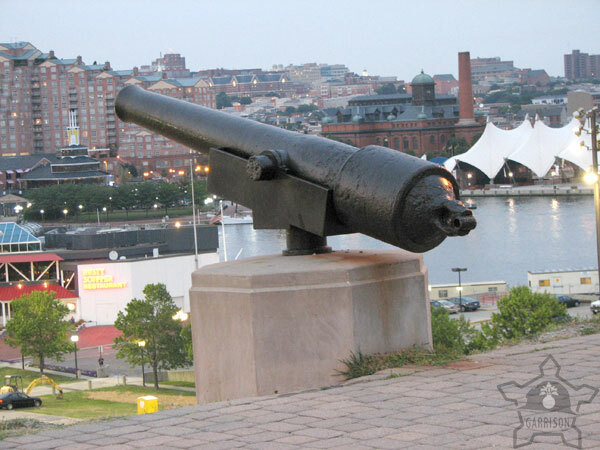 Primarily a site of industry throughout Baltimore's history, it was converted into an armed camp during the Civil War with artillery aimed at the city to threaten sesssionist sympathizers. 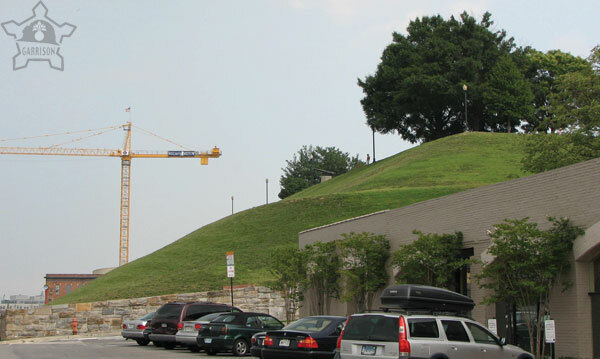 According to a sign posted on the crest of the hill General Ben Butler's units occupied the hill on May 13, 1861. 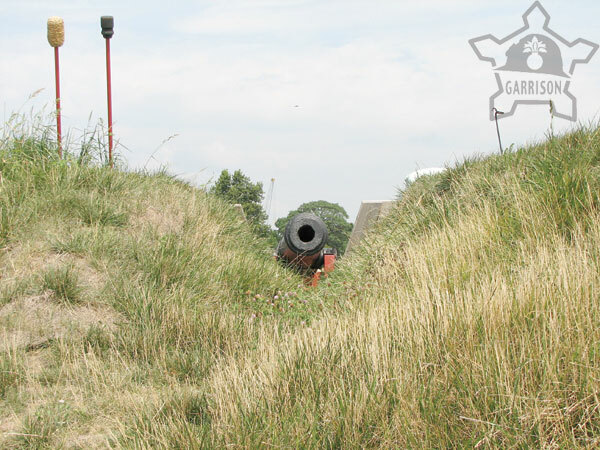 Federal regiments constructed a fort in 1862 and garrisoned the site for 4 years. 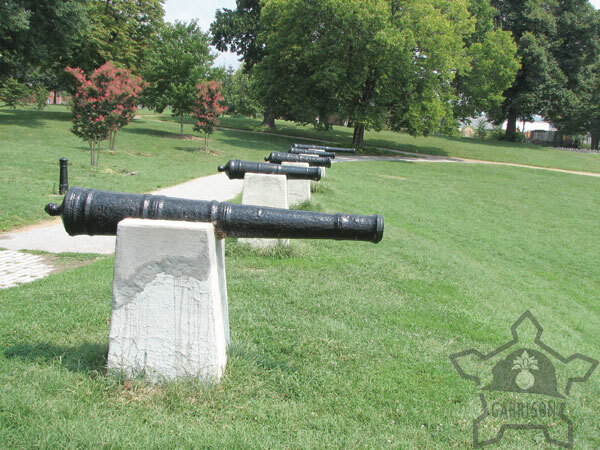 Artillery was mounted on the hill in October 1861 totalling 42 guns including six 8-inch columbiads and twenty-two 32-pounders. There is only one gun remaining on the hill pointing at the city. 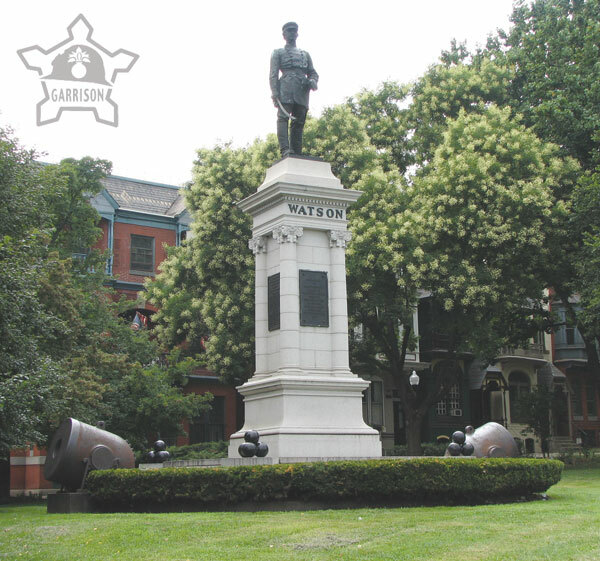 Hidden in Reservoir Hill and looking very much like a monument of an earlier era, I always assumed it was a Civil War monument, but the plaque reads, "Memorial to Marylanders killed in the War with Mexico 1846-7-8, erected by the Association of Veterans of Mexican War 1903." Other plaques list the names of those killed in the war and surviving members. At the base are two mortars with stacks of shells nearby. 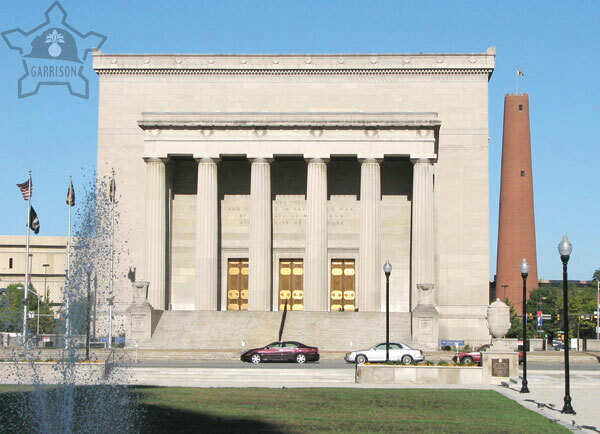 Across the street from War Memorial Plaza and in view of City Hall, the building is surrounded by German WWI trophies, and two guns from other eras. 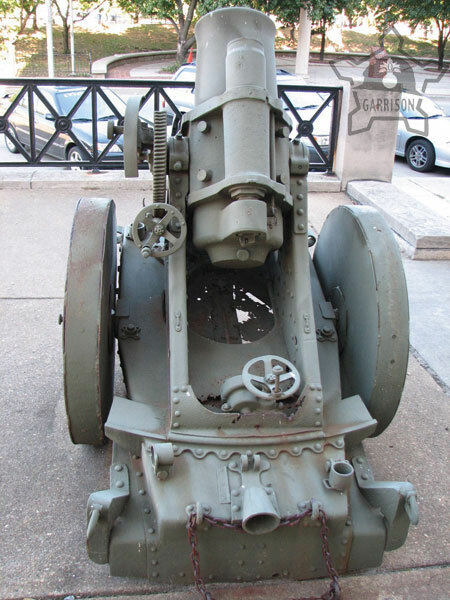 The smaller guns are hidden from view by a wall and until recently the park was used to distribute food to homeless men, so there was little reason to make a walking tour of the area, the park was recently renovated. 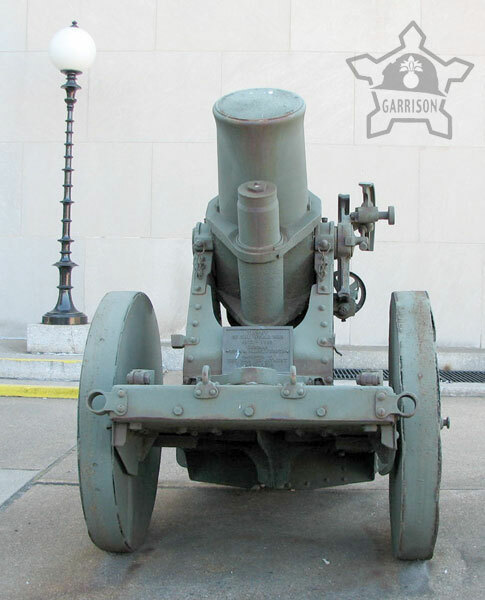 Built in 1828 it was one of three ammunition towers in Baltimore in the early 18th century and operated until 1892. The 215-foot tower manufactured bullets or shot for muskets by pouring drops of molten from the top into a quenching tank at the bottom. The tower produced up to 500,000 25-pound bags of shot annually. The tower was converted into a museum in 1977. 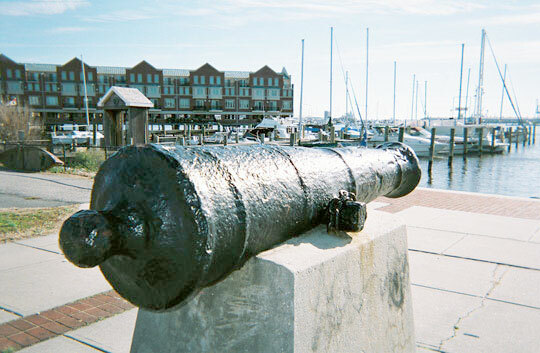 This cannon was found in the harbor when they were dredging for a development, details to come later.